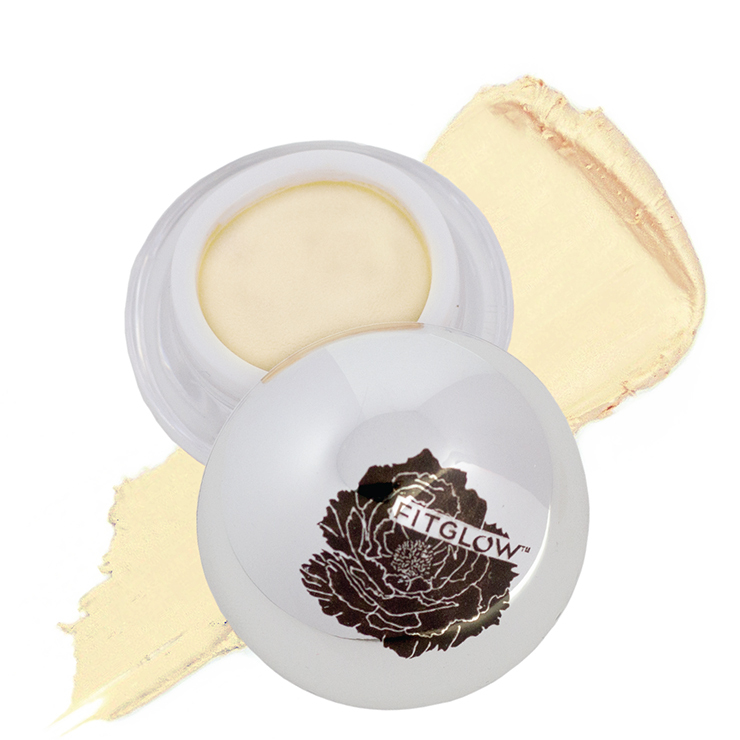 Fitglow Eye Bright is a super convenient concealer-meets-eye-cream in a sweet multi-tasker. 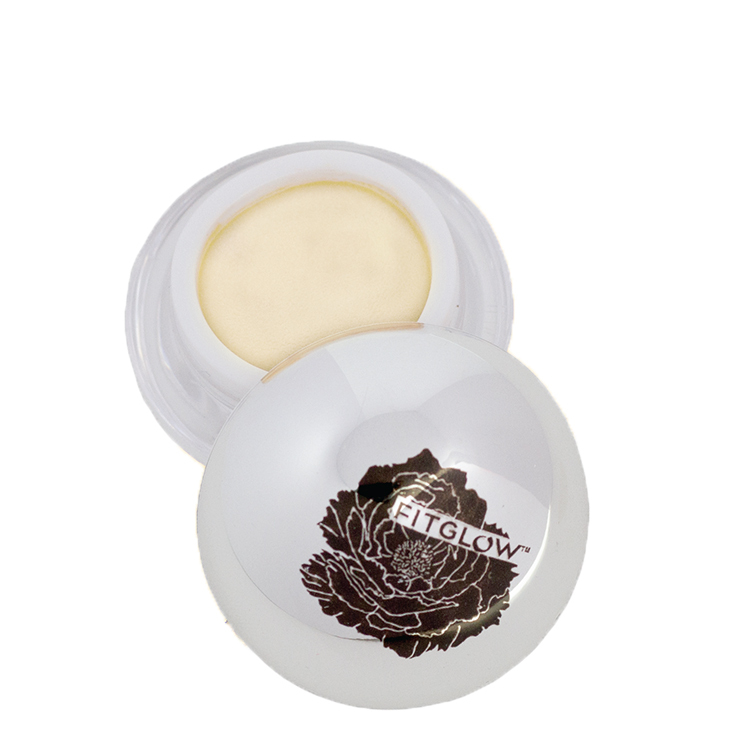 Formulated to address issues of dark circles and puffiness, while instantly improving the skin’s appearance. Made with evening primrose and avocado oils, this cream lends a moisturizing feel without pulling delicate skin or giving a cakey look. Plant and probiotic peptides improve the appearance of firmness and elasticity, and caffeine provides a look of brightness and revitalization to tired eyes. Mineral pigments have been added to create a slightly yellow tint, covering the look of discoloration. A two-in-one product that delivers on results. Place a small amount of cream on ring finger and pat onto skin under eyes. Gently blend outward with fingertip or concealer brush. Simmondsia Chinensis Oil (Jojoba)*, Butyrospermum Parkii (Shea Butter)*, Prunus Amygdalus Dulcis Oil (Almond)*, Cera Alba, Theobroma Cacao Seed Butter (Cocoa)*, Limnanthes Alba Seed Oil (Meadowfoam)*, Oenothera Biennis Oil (Evening Primrose)*, Tocopherol (Non GMO), Coffea Arabica Oil (Coffee)*, Persea Gratissima (Avocado) Oil (And) Phytosterols (And) Olea Europaea (Olive) Fruit Oil, Hexapeptide 11 (Probiotic Peptide), Ricinus Communis (Castor) Seed Oil, Titanium Dioxide (CI77891) Yellow Iron Oxide (CI77492), Zinc Oxide, Silica.